What will $3,000 rent you in Williamsburg, right now? Curious just how far your dollar goes in Williamsburg? According to Walk Score, this New York City neighborhood has excellent walkability, is great for biking and boasts excellent transit options. Data from rental site Zumper shows that the median rent for a one bedroom in Williamsburg is currently hovering around $2,750. 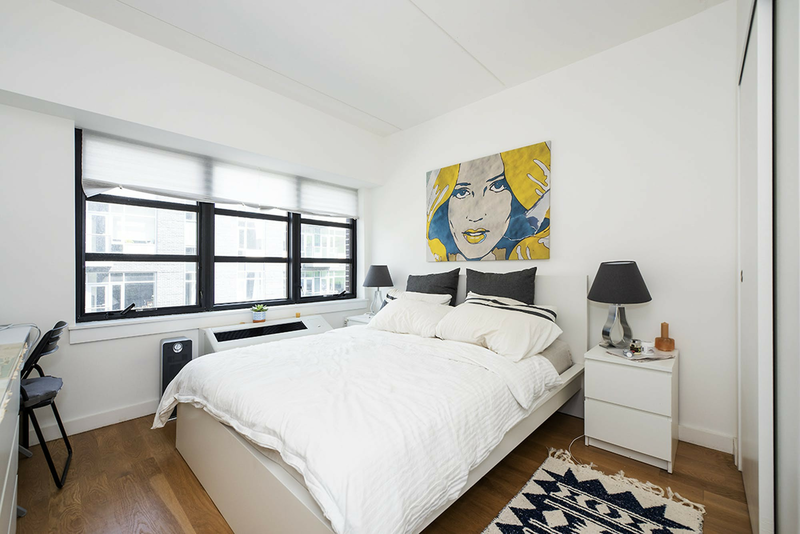 Here's this one-bedroom, one-bathroom apartment located at 63 Roebling St., #4F. It's listed for $3,000/month. When it comes to building amenities, expect outdoor space, a fitness center, a roof deck and extra storage space. In the unit, there are hardwood flooring, high ceilings, a dishwasher, stainless steel appliances, wooden cabinetry, a breakfast island, central heating and air conditioning, in-unit laundry and floor-to-ceiling windows. When it comes to pets, both meows and barks are welcome. Here's a one-bedroom, one-bathroom condo at 250 Bedford Ave. that's also going for $3,000/month. When it comes to building amenities, expect on-site laundry, garage parking, outdoor space, a residents lounge, a courtyard, a roof deck and extra storage space. The apartment features hardwood flooring, floor-to-ceiling windows, recessed lighting, a private terrace, in-unit laundry, stainless steel appliances and a breakfast bar. Cats and dogs are not welcome. 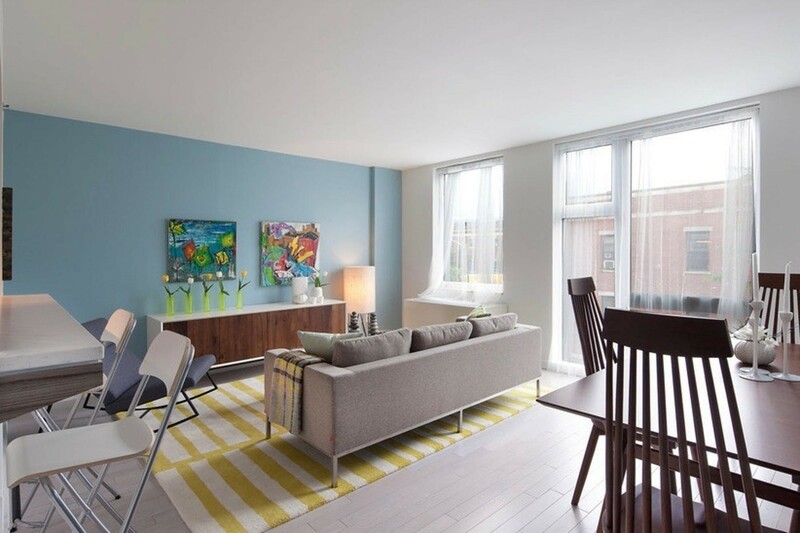 Next, check out this studio apartment that's located at 66 Ainslie St., #4D. It's listed for $3,000/month. The building features on-site laundry, garage parking, a roof deck and an elevator. Apartment amenities include hardwood flooring, high ceilings, recessed lighting, stainless steel appliances, a breakfast bar, in-unit laundry and a built-in bookshelf. Sorry animal lovers, neither cats nor dogs are allowed. Located at 447 Meeker Ave., #4A, here's a one-bedroom, one-bathroom apartment that's listed for $3,000/month. When it comes to building amenities, anticipate on-site laundry, outdoor space, a roof deck, storage space, secured entry and on-site management. In the furnished unit, you can anticipate hardwood floors, a dishwasher, stainless steel appliances, high ceilings and a spiral staircase. Both cats and dogs are allowed.